In hopes of achieving long, gorgeous nails, many women shell out tons of cash at salons, glue on potentially damaging acrylics and slather on chemically-laden potions. However, there are many simple and effective ways to keep your nails long and strong naturally. First of all, if you have brittle, flaky nails, or discoloration such as white spots, it is time to closely examine the foods that you are putting into your body. Getting enough essential omega-3 fatty acids is especially important to nail health. These can be found in flaxseeds, hemp seeds, chia seeds and fatty fish including wild-caught salmon. White spots on nails may signify a zinc deficiency. Incorporating root vegetables, such as carrots, turnips and beets, into your diet, as well as raw nuts, can help correct the imbalance. Eating a wide array of fresh fruits and vegetables will ensure that you have other important nutrients in plentiful supply in your body, to support the health of all of your systems, and the integrity of your nails. Once you’ve taken an assessment of your diet, try the following ideas for your nail care routine. Extra virgin olive oil can do wonders for both moisturizing your skin, and strengthening your nails. On a weekly basis, soak your fingertips in a small bowl of olive oil for about 15 minutes. Afterwards, you can rub the oil into your hands for some natural skin nourishment. If you have discoloration on your nails from too many acrylics, or stains caused by dark nail polish, a combination of sea salt and lemon juice can help. Squeeze the juice of one lemon into a bowl, and add about a teaspoon and a half of sea salt. Soak your nails for 15 to 20 minutes, then rinse. Repeat three or four times a week until your nails look lighter – a couple weeks should do the trick. To moisturize after your lemon and sea salt soak, as well as to use on a daily basis, organic, extra-virgin coconut oil is just the ticket. Rub all over your hands – you don’t need much – paying special attention to your cuticles. Using coconut oil daily can help to prevent your nails from splitting and peeling, and can also combat hangnails. In addition, this oil has antibacterial, antiviral and antifungal properties that can keep nasty nail fungus at bay. Many conventional nail polish varieties contain a slew of chemicals that can damage your nails, including toluene, formaldehyde and Dibutyl phthalate (DBP). If you see these on an ingredients list, leave the polish on the shelf. Your best choice is a non-toxic nail polish, which is produced by a variety of companies, including Honey Bee Gardens and Suncoat. 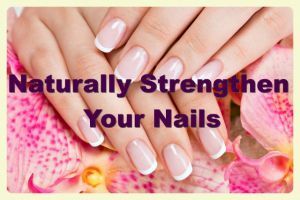 Hey Buddy!, I found this information for you: "How to Naturally Strengthen Your Nails". 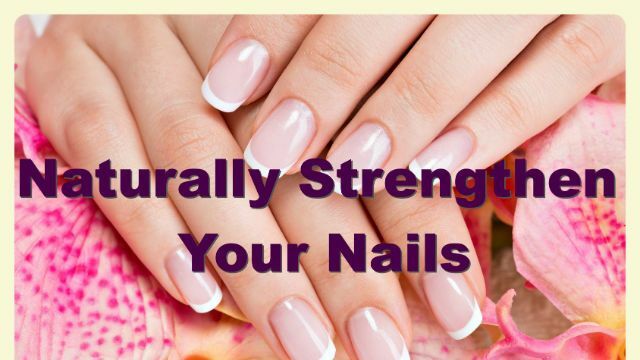 Here is the website link: https://www.thealternativedaily.com/naturally-strengthen-nails/. Thank you.